Burdett, NY— A panel of wine judges at SIMI Winery in Sonoma County, California presented Atwater Estate Vineyards with a prestigious Double Gold medal for the 2014 Rosé of Merlot at The Rose Competition held on March 25th. The competition involved blind tasting and evaluation of 192 wines from across the USA. 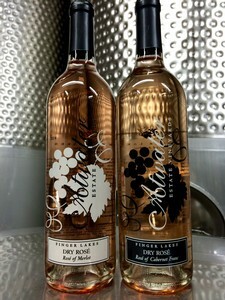 Atwater’s Rosé was the only Finger Lakes wine to garner a double gold medal, signifying a unanimous agreement by the judges, while their 2014 Rosé of Cabernet Franc was also recognized with a Silver Medal. Both wines competed and won in the “dry” category. The winery released the 2014 Rosé of Merlot and the 2014 Rosé of Cabernet Franc on April 1st to coincide with Discover Dry Rosé, a month long Finger Lakes region wide promotion at 28 wineries. Visitors to the winery’s tasting room in Burdett can enjoy a tasting of these Rosé wines and their Pinot Noir Rosé Bubble, paired with specially selected New York state cheeses throughout the month of April. 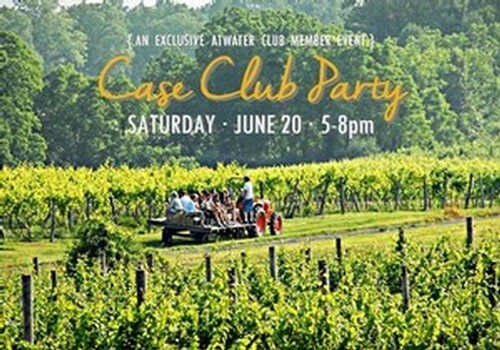 Since 2000, Atwater Estate Vineyards has been a family owned and operated winery with vineyards extending to the southeastern shore of Seneca Lake. 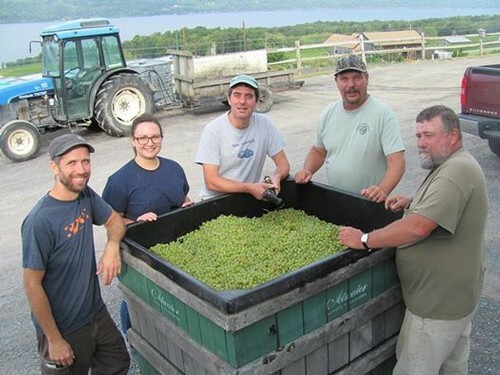 Located in the heart of New York State’s Finger Lakes wine region and where the deepest of the Finger Lakes, Seneca Lake, plunges to 600 feet, Atwater’s vineyard boasts over eighteen varieties of vinifera, hybrid, and native grapes. The massive lake depth creates a micro-climate within a macro-climate, warmer than any other spot in the region, allowing more challenging varieties the opportunity to grow and ripen. 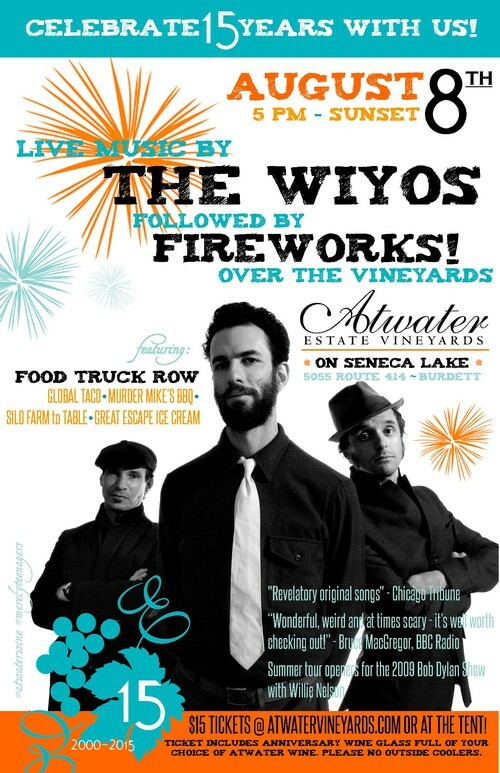 Wines are produced and sold online, at retail stores across New York state and on site at Atwater Estate Vineyards, 5055 State Route 414, Burdett, NY 14818. Visitors are welcomed throughout the year, seven days a week, 10 a.m. to 5 p.m. Monday-Saturday, and 11 a.m. to 5 p.m. on Sunday. Phone: 607-546-8463 or 800-331-7323. Finally, Wine Shipping that Makes Cents! 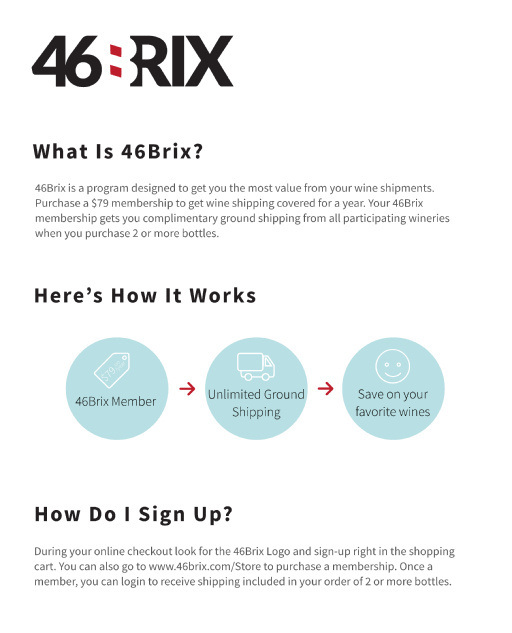 46Brix is a unique membership program for wine lovers powered by WineDirect and Vin65. Members enjoy exclusive shipping benefits from the hand picked selection of premium and sought after wineries. $0 Shipping on hundreds of wines. Access to over 29+ wineries - and the list keeps growing! Order as many times as you like - from as many wineries as you like. Support your favorite vintners by shopping direct from the winery. With 46Brix, the more you spend the more value you get from your 46Brix membership! An annual fee of just $79 covers ground shipping on all orders of two or more bottles, no matter how many purchases you make. 46Brix saves you time and money. Shipping wine can be expensive (unfortunately wine is heavy). This is a great way to stock up without incurring large shipping fees with each purchase. All you need to do is select 46Brix when checking out. It's that easy! To enroll, simply purchase the $79 annual membership below . Shop any of the participating wineries. Origin: A hybrid of Seyval Blanc X Schuyler, it was developed at the New York State Agricultural Experiment Station in Geneva, New York starting in the 1950’s. New York Introduction: Released for commercial planting in 1972. Viticultural Characteristics: Vigorous, moderately hardy vine with good disease resistance, Cayuga produces high yields of large, well-filled clusters. How we use it: Cayuga can be vinified successfully from dry to sweet. This is a wonderful blending wine and we use it primarily in our Stone Bridge White.